At San Fernando Dental Care, our team of experienced specialists works together to outline comprehensive treatment plans for our patients. Our endodontist, Dr. Richard E. Sprague, specializes in root canal therapy and other endodontic procedures designed to save compromised teeth. While replacement is usually a go-to option, we prefer to solve problems whenever possible so that patients can enjoy their original teeth. To schedule an appointment for endodontic treatment in San Fernando, call our office today! Most patients are familiar with issues that can affect the visible portions of their smile, but the internal structures of their teeth are susceptible to infections that are just as complex. Numerous issues can affect the health of your teeth, including infection, physical damage, and outright tooth loss. Fortunately, our endodontist, Dr. Sprague, specializes in preserving the inside of your teeth so that they can be saved after suffering from disease or trauma. Root canal therapy may not be the most popular dental procedure, but saving your tooth if possible should always be a priority over total replacement. During your initial exam, Dr. Sprague will thoroughly examine your oral anatomy with x-rays to diagnose potential issues and pinpoint sources of discomfort. Root canal therapies, while invasive, are always administered with a local anesthetic so that you may remain comfortable during the procedure. When the pulp inside your teeth becomes infected, it can ultimately destroy the entire tooth if not addressed in time. Telltale signs of infected pulp include painful chewing, extreme toothaches, and discoloration. Root canal therapy involves the clinical removal of this infected pulp, which will be replaced by biocompatible material after the canal has been properly cleaned. Treatment is then finalized with the placement of a crown, which will preserve your tooth and allow you to chew normally. Experiencing a Tooth Ache? Schedule an Appointment Today! 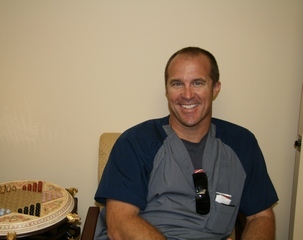 Dr. Sprague and his fellow specialists at San Fernando Dental Care help patients achieve the healthy smiles they deserve. If you have a discolored and irritable tooth or have been experiencing a severe toothache, you may need an endodontic evaluation. To schedule your appointment with our root canal therapy specialist in San Fernando, call our office today!